But yeah, if anyone likes Looney Tunes and has something of their own, please share! Hmm, I'm having trouble getting the picture to load. Try just linking to the submission page instead of a direct link to the image. Or upload it to an actual image host site like Imgur or Photobucket instead of an art gallery site (they're similar but have different purposes). 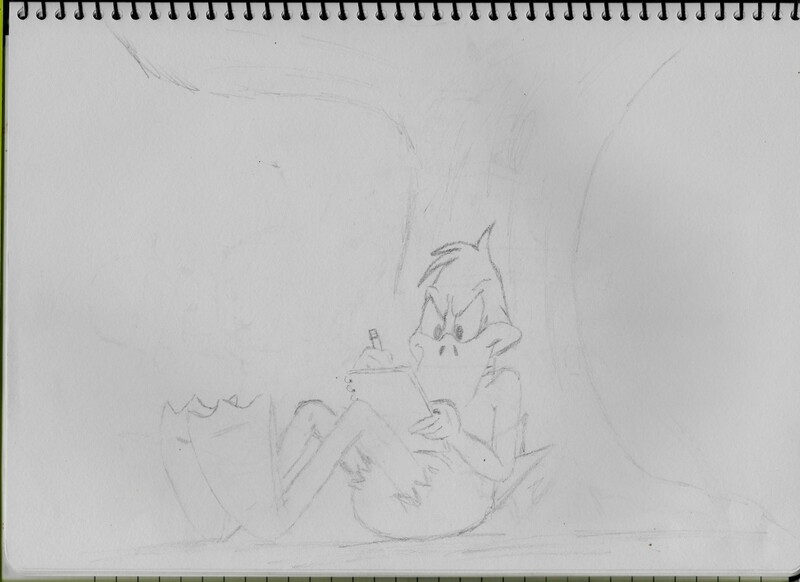 I didn't realize posting a Looney Tunes sketch would be so difficult lol, third time lucky I guess, as suggested above, just a direct link to the page then! beautiful sketch! very well done! I love a good classical drawing! Thanks much, I don't know how I managed to do it well - it's my best sketch so far. So any other Looney Tunes fans with any fanart of their own?! Though I might have made the duckling a bit wide... I guess it's well fed! I also recently started attempting to draw the Loonatics, but it's such a different style from the Looney Tunes - much more square as of where they were round, this was my first attempt at drawing Danger Duck with my first ever attempt at water colouring something... could have done better! You are really good, and for a first attempt that's pretty good. and I love Darkwing Duck, he is one of my fav. Thanks again, I've gotten alright at drawing ducks lol, just not a whole lot else - I've drawn Bugs a couple of times and Porky... A whole lot more practice still needed to be a good artist! i used to play the video game of darkling duck.